Offering you a complete choice of products which include programmable logic controllers for automation industry and motor controllers. We are one of the prominent manufacturers and suppliers of Programmable Logic Controllers for Automation Industry. This product allows your applications to be remotely controlled and is easy to install and program.In ahead of their final dispatch, provided range is quality checked on well-defined parameters. Our offered products are available for our clients at a very conventional range of prices. Our offered logic controller can withstand the market norms as this is made by using latest technology and finest material. 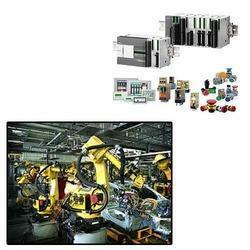 Looking for Programmable Logic Controllers for Automation Industry ?